You CAN breathe new life into your historic destination or attraction’s programs, even if you’re short of cash and out of inspiration. Are local history and heritage tourism dying? If you work in a historic house, at a small museum or are trying to convince travelers to visit your town’s beautifully restored Main Street, it sure feels like it sometimes. But it’s not the past people are turning their backs on. The problem is the presentation. The traditional ways of presenting historical material – recitations of facts, show and tell type demonstrations, behind the velvet rope tours – no longer work. People want deeper, more relevant and more interesting tourism experiences. Being aware of this desire is one thing. Knowing how to correct course is a different matter. Your historic attraction is hemorrhaging money. Visitor numbers are plummeting. The board expects you to revitalize your attraction without additional funds. You tried a few new programs, but turnout was dismal. You’re demoralized, disgusted and out of ideas. You assumed the small museum hired you because you’re a historian and a talented researcher. But you spend your time trying to be a social media expert and an event planner or struggling with an outdated computer system and the worst website you’ve ever seen. You feel frustrated, angry and deceived. This is not why you went to school. You’re the executive director of your town’s historic preservation organization. You landed the job because you’re a grant writing phenomenon. But the board wants you to design a walking tour of downtown neighborhoods. Even worse, they expect you to guide the darned thing. They might as well ask you to fly to the moon. We help get the administrative side of your house in order, too, whether it’s updating your website, establishing a social media presence, or designing and implementing an email newsletter. Take a fresh look at your area with our Neighborhood Discovery Guide. Even if you focus exclusively on indoor events at a historic house or museum, the Guide will help you come up with new program ideas. In addition to dozens of tour and event suggestions, it includes helpful exercises and describes exactly how to conduct a tourism scouting mission around your area. Here are links to a few helpful posts. This can be the most exciting and creative phase of tour and event design, unless you’re short on ideas. You don’t have to come up with an original concept. Select elements from our program descriptions then customize them to work with your local story. Define your target audience and find the best and most economical ways to communicate with them via traditional outlets and new media platforms. There’s no reason to over-complicate the financial side of things. We stick to the basic monetary issues surrounding your business. We cover how much to charge, when to raise your prices, how to share income with other organizations and how to compensate people who help you run your programs. One of the best ways to expand your business – and keep your sanity - is by collaborating with others in your community. We have lots of suggestions on finding potential partners, the best ways to approach them, how to work with them and some red flags to watch out for. Working in local history or preservation can be exciting, exhilarating and fun. It can also be frustrating, confusing and lonely. We share information on mindset, attitude, motivation and creativity. Are you ready to brainstorm new program ideas by taking a fresh look at your town or neighborhood? 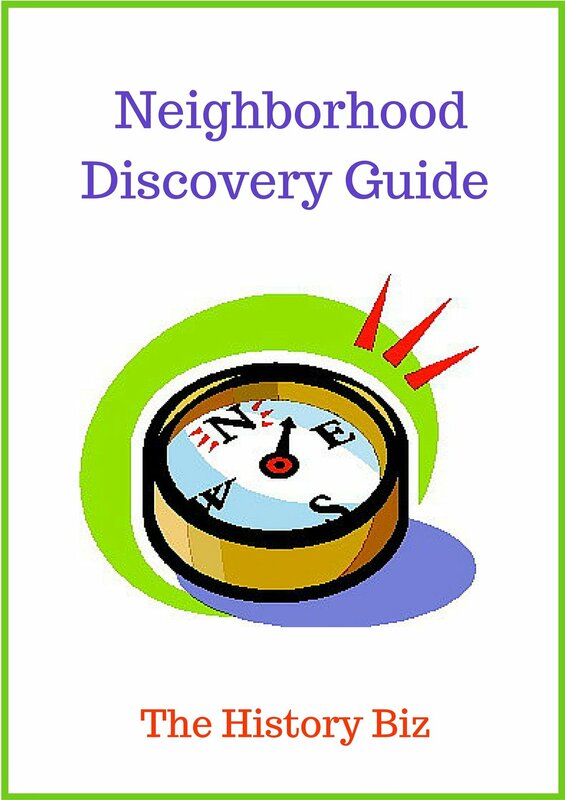 Get started with the Neighborhood Discovery Guide.